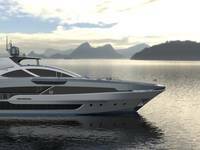 Yacht Group have announced their strategic partnership with ACR Electronics. ACR’s searchlights will now be exclusively sold and further developed by The Yacht Group. These searchlights are called Yacht Beams and are being designed and manufactured specifically to yacht and commercial vessel specifications. Captains can confidently pierce through the darkest nights with The Yacht Beam’s series of one million and six million candela power. The lights are precision controlled via a military/commercial grade IP69 illuminating joystick (pending FCC approvals, expected shipments to begin in November*). 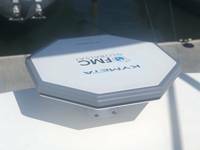 In keeping with their long history of reliable wireless controlled products such as their Yacht Controller, The Yacht Group’s Yacht Beams will also have an optional wireless control. 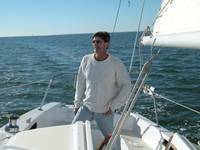 Yacht Beams are designed to be easily retrofitted. 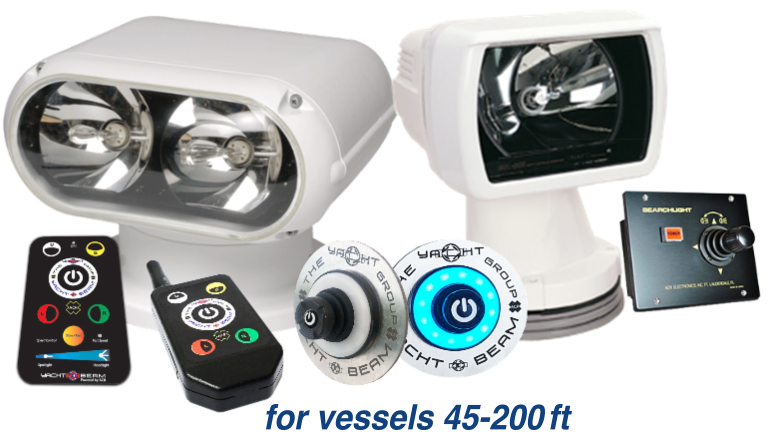 A complete swap-out kit is available for boats equipped with less powerful searchlights. HID lamps create a narrow-beam searchlight perfect for large sport yachts, mega-yachts, large sportfish, and commercial vessels. 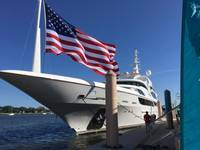 With a Yacht Beam installed on their vessel, all captain, crew and guests should feel as comfortable and confident as though they were on a daytime charter or voyage.